My collection of costume jewelry continues to grow and with it my organizational challenges. I've been experimenting with different ways of storing it while still keeping it in view. This vintage tiered dessert stand works perfectly and the mannequin is just oh-so suiting for Dress Me Dearly. A large seashell and glass saucers also act as attractive nests for my rings, brooches and every so often, loose change. 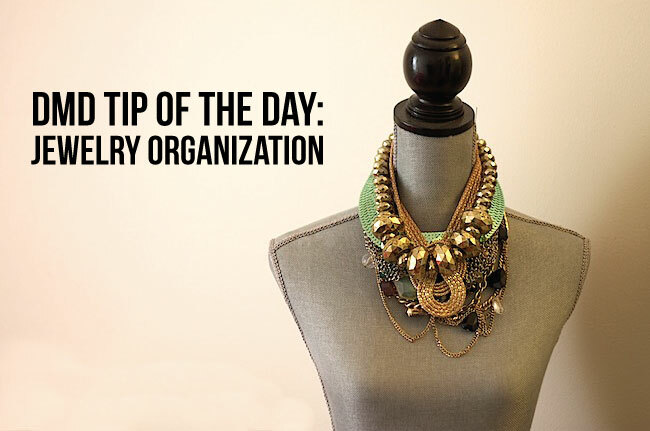 How do you keep jewelry organized? I LOVE your use of the vintage tiered dessert stand. as a lot of pieces need to be protected against humidity. Wow, I love the idea. :) And you have great jewlery collection. I wish my jewelry was this organized! 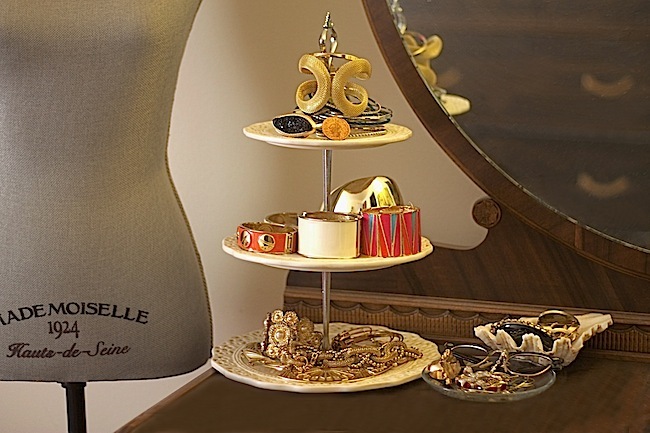 I love the tiered cake stand as jewelry holder! Such a perfect idea! I have a little dish where I keep the things I wear on a daily basis. I love the mannequin tho, going to have to go on a hunt for one. Wow! That really is a very good idea! 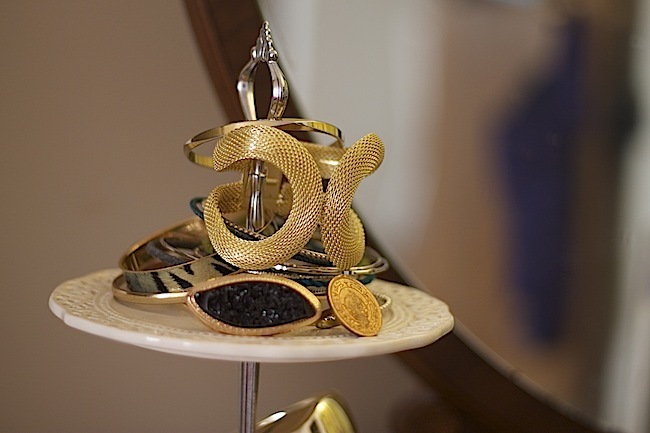 I hope I would find time to buy something like that as well to have my jewelries organized. I hope you will be posting more blogs on organization as well. You have amazing pieces!! And I love how you've organized it, I realllly need to organize my stuff.